Stagnaro, M. , Colli, M., Lanza, L. G., and P. W. Chan (2016). Performance of post-processing algorithms for rainfall intensity using measurements from tipping-bucket rain gauges. Atmos. Meas. Tech., 9, 5699-5706. Colli, M., Lanza, L.G., Rasmussen, R.M. and J.M. Thèriault (2016). The collection efficiency of shielded and unshielded precipitation gauges. Part I: CFD airflow modelling. J. of Hydrometeorol., 17(1), pages 231-243. Colli, M., Lanza, L.G., Rasmussen, R.M. and J.M. Thèriault (2016). The collection efficiency of shielded and unshielded precipitation gauges. Part II: modelling particle trajectories. J. of Hydrometeorol., 17(1), 245-255. Thériault, J. M., Rasmussen, R., Petro, E., Trépanier, J.Y., Colli, M. and L. Lanza (2015). Collection efficiency of the Double Fence Intercomparison Reference for snow. J. Appl. Meteorol. Clim., 54(9), pages 1918-1930. Colli, M., Rasmussen, R.M., Thèriault, J.M., Lanza, L.G., Baker, B.C. and J. Kochendorfer (2015). An improved trajectory model to evaluate the collection performance of snow gauges. J.Appl.Meteor.Climatol., 54(8), pages 1826-1836. Santana, M.A.A., Guimarães, P.L.O., Lanza, L.G. and E. Vuerich (2015). Metrological analysis of gravimetric calibration systems for tipping-bucket rain gauges. Acta IMEKO, (submitted). Colli, M., Lanza, L.G., La Barbera, P. and P.W. Chan (2014). Measurement accuracy of weighing and tipping-bucket rainfall intensity gauges under dynamic laboratory testing. Atmos. Res., 144, 186-194. Colli, M, Lanza, L.G. and P. La Barbera (2013). 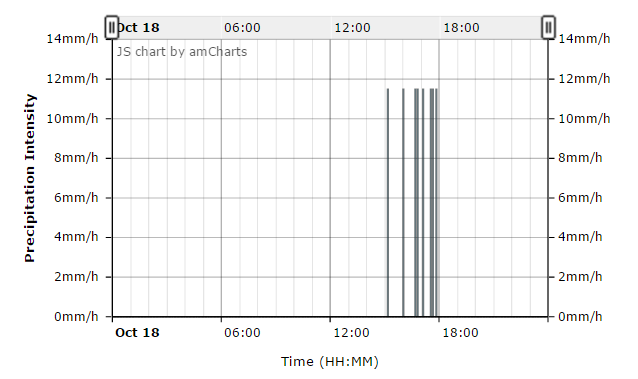 Performance of a weighing rain gauge under laboratory simulated time-varying reference rainfall rates, Atmos. Res., 131, 3-12. Colli, M., Lanza, L.G. and P.W. Chan (2013). Co-located tipping-bucket and optical drop counter RI measurements and a simulated correction algorithm. Atmos. Res., 119, 3-12. Lanza, L.G. and L. Stagi (2012). Non-parametric error distribution analysis from the laboratory calibration of various rainfall intensity gauges. Water Sci. Tecn., 65(10), 1745-1752. Lanza, L.G. and E. Vuerich (2012). Non-parametric analysis of deviations of one-minute rain intensity measurements from the WMO field intercomparison. Atmos. Res., 103, 52-59. Lanza, L.G., Vuerich, E. and I. Gnecco (2010). Analysis of highly accurate rain intensity measurements from a field test site. Advances in Geosciences, 25, 37-44. Lanza, L.G. (2010). La misura dell’intensità di precipitazione liquida al suolo – How to measure liquid precipitation intensity at the ground (in Italian). In G. Frega (editor): Tecniche per la difesa dall’inquinamento (Pollution prevention techniques, 31° Training Course), Nuova BIOS, Cosenza, pp. 179-208, ISBN: 978-88-6093-073-6, June 2010. Lanza, L.G. (2010). L’accuratezza nella misura dell’intensità di pioggia – On the accuracy of rainfall intensity measurements (in Italian). XXXII Nat. Conf. On Hydraulics and Hydraulic Structures, Palermo (Italy), 14-17 September 2010 (published on CD-ROM). Colli, M., La Barbera, P., L.G. Lanza (2012). Rainfall intensity measurement accuracy using traditional and modern techniques. Proc. IV Symposium CNR-IBIMET “Il Monitoraggio Costiero Mediterraneo: Problematiche e Tecniche di Misura” (Coastal Mediterranean Monitoring: Problems and Measurement Techniques), Livorno (Italy), 12-14 June 2012, pp. 103-110. ISBN: 978-88-95597-13-3, CNR-IBIMET Editor, Firenze. R. Nitu, R. Rasmussen, B. Baker, E. Lanzinger, P. Joe, D. Yang, C. Smith, Y.A. Roulet, B. Goodison, H. Liang, F. Sabatini, J. Kockendorfer, M. Wolff, J. Hendrikx, E. Vuerich, L. Lanza, O. Aulamo, V. Vuglinsky (2012). WMO Intercomparison of Instruments for the measurement of Solid Precipitation and Snow on the Ground: Organisation of the Experiment. Proc. TECO-2012: WMO Techn. Conf. on Meteorological and Environmental Instruments and Methods of Observation. Brussels, Belgium, 16-18 October 2012. (published on CD-ROM as WMO/IOM Rep. No. 109). Colli, M., Vuerich, E. and L.G. Lanza (2012). Environmental Chamber Assessment of the Accuracy of Weighing Gauges Under Low Intensity Reference Flow Rates. Proc. TECO-2012: WMO Techn. Conf. on Meteorological and Environmental Instruments and Methods of Observation. Brussels, Belgium, 16-18 October 2012. (published on CD-ROM as WMO/IOM Rep. No. 109). Colli, M. and L.G. Lanza (2012). 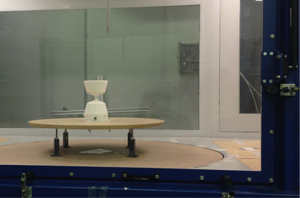 Weighing Gauge Performance Under Laboratory Simulation of Real World Precipitation Events. Proc. TECO-2012: WMO Techn. Conf. on Meteorological and Environmental Instruments and Methods of Observation. Brussels, Belgium, 16-18 October 2012. (published on CD-ROM as WMO/IOM Rep. No. 109). Rasmussen, R., Nitu, R., Baker, B., Lanzinger, E., Joe, P., Yang, D., Smith, C., Roulet, Y.A., Goodison, B., Liang, H., Sabatini, F., Kockendorfer, J., Wolff, M., Hendrikx, J., Vuerich, E., Lanza, L., Aulamo, O. and V. Vuglinsky (2012). WMO Intercomparison of Instruments and methods for the measurement of Solid Precipitation and Snow on the Ground, WMO-SPICE: Pre-SPICE Studies. Proc. TECO-2012: WMO Techn. Conf. on Meteorological and Environmental Instruments and Methods of Observation. Brussels, Belgium, 16-18 October 2012. (published on CD-ROM as WMO/IOM Rep. No. 109). Colli, M., Lanza, L.G., Rasmussen, R. and E. Vuerich (2014). Using laboratory experiments to improve reliability in liquid and solid precipitation weighing-gauge measurements. Proc. TECO-2014: WMO Techn. Conf. on Meteorological and Environmental Instruments and Methods of Observation. St. Petersburg, Russia, July 2014. (published on CD-ROM as WMO/IOM Rep. No. 116). Colli, M., Lanza, L.G., Rasmussen, R. and J.M. Thériault (2014). A CFD evaluation of wind induced errors in solid precipitation measurements. Proc. TECO-2014: WMO Techn. Conf. on Meteorological and Environmental Instruments and Methods of Observation. St. Petersburg, Russia, July 2014. (published on CD-ROM as WMO/IOM Rep. No. 116). Colli, M., Rasmussen, R.M., Landolt, S., Baker, B., Kochendorfer, J., Collins, B., Colli, M., Lanza, L. and J.M. Thériault (2014). Examination of the Performance of Single Alter Shielded and Unshielded Snowgauges Using Observations from the Marshall Field Site during the SPICE WMO Field Program and Numerical Model Simulations. Proc. TECO-2014: WMO Techn. Conf. on Meteorological and Environmental Instruments and Methods of Observation. St. Petersburg, Russia, July 2014. (published on CD-ROM as WMO/IOM Rep. No. 116). Colli, M., Lanza, L.G. and R. Rasmussen (2014). Stima dell’incertezza delle misure di precipitazione solida e mista indotta dal vento mediante simulazioni CFD – A CFD simulation assessment of the uncertainty of solid and mixed precipitation measurements as induced by wind (in Italian). Proc. XXXIV Nat. Conf. On Hydraulics and Hydraulic Structures, Bari, 8-10 September 2014 (published on CD-ROM) Zaccaria Editor, Napoli, ISBN: 978-88-904561-8-3, pp. 329-332. Chan, P.W. and L.G. Lanza (2010). Comparison of paired observations from a tipping-bucket and a drop counting gauge in a monsoon driven tropical rainfall regime (Abstract). EGU General Assembly, Geophys. Res. Abstr., 12, EGU2010-11020. Lanza L.G. ed E. Vuerich (2010). The accuracy of rain intensity measurements and its influence on extreme events statistics. Proc. ISPRA Thematic Workshop on “Flash Floods and Pluvial Flooding”, 26–28 May 2010, Cagliari, Italy (invited paper). Lanza, L.G. and E. Vuerich (2010). An assessment of instrument accuracy from the WMO field intercomparison of rainfall intensity gauges (Italy, 2007-2009). IPC10 International Precipitation Conference on “Space time precipitation from urban scale to global change”, Coimbra (Portugal), 23-25 June 2010. Colli, M., Chan, P.W., Lanza, L.G. and P. La Barbera (2012). A laboratory assessment of the measurement accuracy of weighing type rainfall intensity gauges (Abstract). EGU General Assembly, Geophys. Res. Abstr., 14, EGU2012-11862. Lanza, L.G., Colli, M. and P. La Barbera (2012). On the influence of rain gauge performance on extreme events statistics: the case of weighing gauges (Abstract). EGU General Assembly, Geophys. Res. Abstr., 14, EGU2012-12028. Colli, M., Lanza, L.G., and P. La Barbera (2012). Weighing gauges measurement errors and the design rainfall for urban scale applications. Proc. 9th Int. workshop on Precipitation in Urban Areas: Urban Challenges in Rainfall Analysis, St. Moritz, Switzerland, 6-9 December, 2012. R. Nitu, R. Rasmussen, B. Baker, E. Lanzinger, P. Joe, D. Yang, C. Smith, Y.A. Roulet, B. Goodison, H. Liang, F. Sabatini, J. Kockendorfer, M. Wolff, J. Hendrikx, E. Vuerich, L. Lanza, V. Vuglinsky (2012). WMO Intercomparison of Instruments for the measurement of Solid Precipitation (WMO-SPICE). 9th Int. 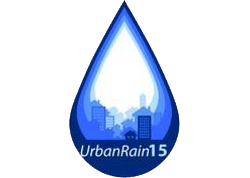 Workshop on Precipitation in Urban Areas: Urban Challenges in Rainfall Analysis. St. Moritz, Switzerland, 6-9 December 2012. Colli, M., Lanza, L.G. and P. La Barbera (2012). An evaluation of the uncertainty of extreme events statistics at the WMO/CIMO Lead Centre on precipitation intensity. 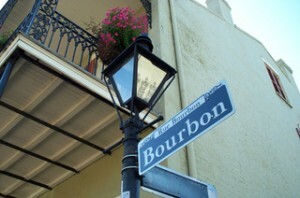 AGU Fall Meeting, San Francisco, December 3-7, 2012, H41H-1267. Scott, L., Colli, M., La Barbera, P., Lanza, L.G. and R. Rasmussen (2012). Using laboratory experiments to improve reliability in rainfall and solid precipitation weighing-gauge measurements. 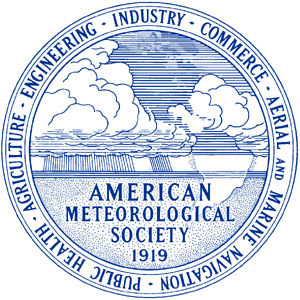 AGU Fall Meeting, San Francisco, December 3-7, 2012, H41H-1265. Colli, M., Lanza, L.G. and P. La Barbera (2013).The performance of weighing gauges under laboratory simulated severe real world precipitation events (Abstract). EGU General Assembly, Geophys. Res. Abstr., 15, EGU2013-10983. Colli, M., Vuerich, E. and L.G. Lanza (2013). An environmental chamber evaluation of weighing gauges performance at low rainfall intensity (Abstract). EGU General Assembly, Geophys. Res. Abstr., 15, EGU2013-11053. Colli, M., Landolt, S., Rasmussen, R., Lanza, L.G. and P. La Barbera (2013). On improving rainfall and solid precipitation weighing-gauge measurements using laboratory experiments (Abstract). EGU General Assembly, Geophys. Res. Abstr., 15, EGU2013-7889. Colli, M. and L.G. Lanza (2014). A laboratory evaluation of the influence of weighing gauges performance on extreme events statistics (Abstract). EGU General Assembly, Geophys. Res. Abstr., 16, EGU2014-11879. Colli, M., Lanza, L.G., Rasmussen, R. and J. M. Thériault (2014). Wind induced errors on solid precipitation measurements: an evaluation using time-dependent turbulence simulations (Abstract). EGU General Assembly, Geophys. Res. Abstr., 16, EGU2014-15956. Colli, M., Lanza, L.G. and E. Vuerich (2014). The accuracy of ground-based rainfall intensity measurements. Proc. Int. Conf. on Metrology for Meteorology and Climate, MMC-2014, Brdo (Slovenia), 15-18 September 2014, p. 109. Santana, M., Guimarães, P., Lanza, L.G. and E. Vuerich (2014). Metrological analysis of gravimetric calibration systems for tipping-bucket rain gauges. Proc. Int. Conf. 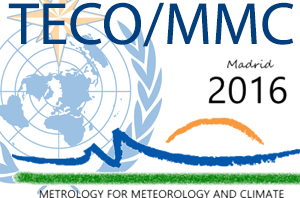 on Metrology for Meteorology and Climate, MMC-2014, Brdo (Slovenia), 15-18 September 2014, p. 110. Colli, M., Lanza, L.G. and P. La Barbera (2014). The design of a laboratory rainfall simulator. Proc. Int. Conf. on Metrology for Meteorology and Climate, MMC-2014, Brdo (Slovenia), 15-18 September 2014, p. 94. Colli, M., Lanza, L.G. and E. Vuerich (2015). A reference group for precipitation measurements at the WMO/CIMO Lead Centre “B.Castelli” on Precipitation Intensity (Abstract). EGU General Assembly, Geophys. Res. Abstr., 17, EGU2015-13020. Colli, M., Lanza, L.G. and P. La Barbera (2015). 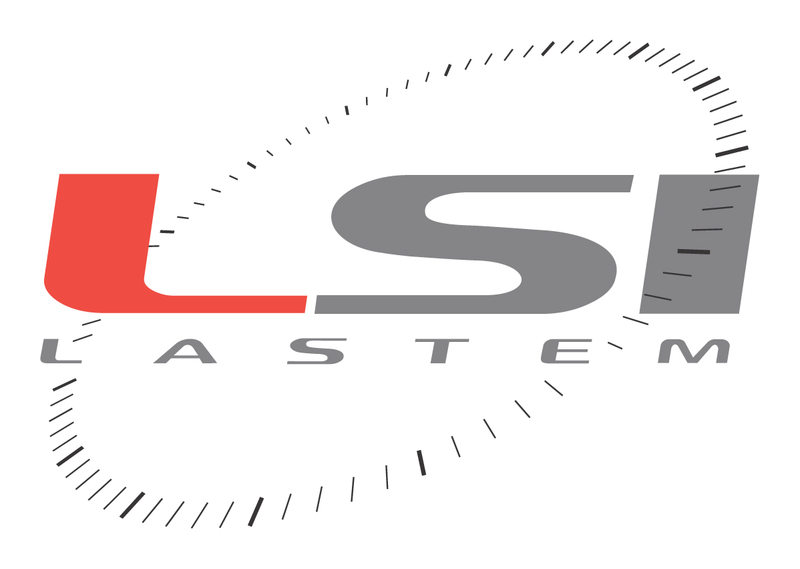 Metrological requirements for a laboratory rainfall simulator (Abstract). EGU General Assembly, Geophys. Res. Abstr., 17, EGU2015-12084. Colli, M., Lanza, L.G., Rasmussen, R.M. and J.M. Thèriault (2015). Advances in the evaluation of wind-induced undercatch using CFD-based simulations of snow gauge performance (Abstract). EGU General Assembly, Geophys. Res. Abstr., 17, EGU2015-13334.